This fall, five dancers from Spotlights and Sequins dance club in Miramichi were chosen to represent Canada at the World Cup of Dance in Portugal. 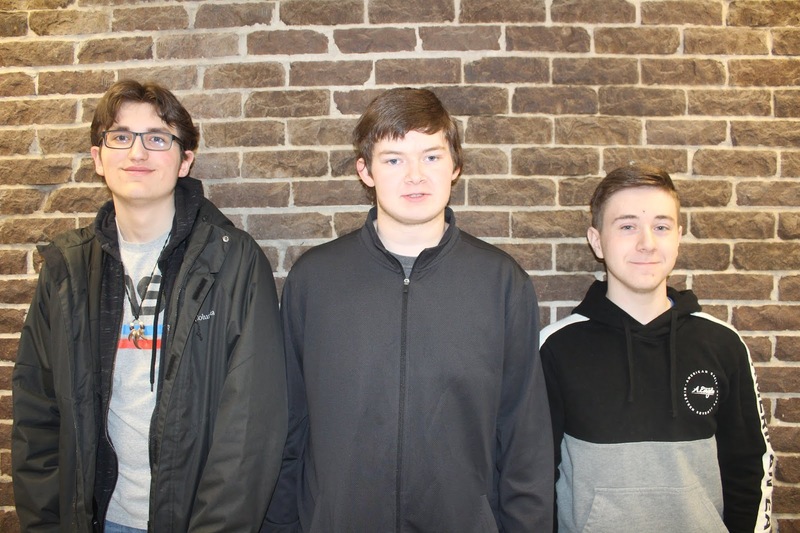 Two of these students are from Blackville School. 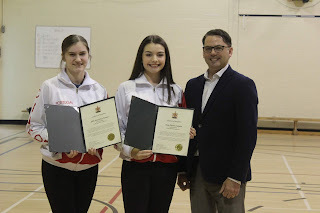 Abby Keenan (grade 11) and Anna Sturgeon (grade 10) have been dancing competitively for years, traveling to competitions across the province where they often receive high honour awards for their routines. To have the opportunity to go to the World Cup of Dance is similar to an athlete attending the Olympics, with over 45 countries participating. This experience of a lifetime, however, does not come without a high cost of about $15, 000 for each dancer. This morning Minister Jake Stewart contributed by donating $100 to each girl as congratulations on their achievement. With their trip to Portugal fast approaching, the dancers need the support of their community to reach their goal. To donate and find out more information click here. On May 5 from 2 pm to 6 pm, there will be a benefit to support the dancers at the Miramichi Folklore Park. Along with the 50/50 draw and live entertainment, the girls will be performing a few of their routines. with Grade 11 Daniel MacVicar who played a part in the video. 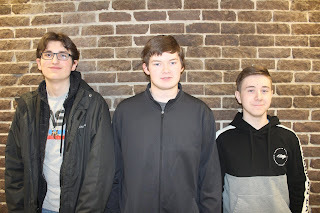 Two grade 12 students from Blackville School have entered a video into this year's Alcool NB Liquor Safe Grad Competition. Chris Underhill and Kel Vickers produced a public service announcement video that explores underage drinking and also drinking and driving. The Safe Grad competition encourages students to create and deliver a message about making responsible choices when celebrating high school graduation. The competition is done in cooperation with the New Brunswick Department of Education and Early Childhood Development. Underhill explained they wanted to make a video that would "be short and to the point." He said they spent some time considering transitions. "We wanted the glass to be the same size and shape as a car tire so that the quick transition would be effective," he added. The students also added foreshadowing in the short narrative. "Kel came up with the idea of having the ace of spades face up on the table at the beginning of the video because it represents death," Underhill said. Each year Alcool NB Liquor gives out prizes of up to a total of $20, 000 to high schools that participate in the competition. This is the 12th year for the Safe Grad Competition. Blackville School has won $1000 to $1300 prizes in previous years for its Safe Grad entries. Students and staff at Blackville School wore blue on Tuesday to show their support for World Autism Awareness Month held during the month of April. 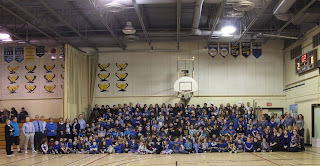 For more information about Autism Awareness Canada, click here.